At the start of my sons second grade year, he began working on and reviewing place value. Place value recognition is math that’s used all year long through out grade levels. It is for important for children to have a good foundation of place value knowledge from the beginning. The number values that children work with in all areas (addition, subtraction, multiplication, and division to name a few) will increase through grades. Mental math skills will become a necessity in order complete problems with higher number values. “Practice makes perfect.” ,which is why I made this Hundreds Place Value Pack. The pack is loaded with ways to build mental math skills for a full week (or longer!) of 3 digit place value practice. Of course, if you need to cover the very beginning of place value you’ll want to start with my Ones and Tens Place Value pack coming out soon. I’m offering this Fall Hundreds Pack for FREE so you can get an idea of what skills your child will be working on if you decide to purchase my other Place Value Pack’s , Word Problems Pack, or Base Ten printables’ Pack with real pictures. 25 pages of practice with 3 digit numbers! Matching page, skip counting, and MORE!! I hope this helpful to your family or classroom. We are days away from celebrating Presidents Day, Feb. 20. I thought I’d share a very cool way to tackle math facts for those kids that are also going to be learning about money this upcoming week! This fun activity was another extension of my sons homework. One afternoon he was sent home with a math worksheet – you know, one of those worksheets that have a child practice a variety of skills on a single page like mad minutes? Inside a box on the worksheet he was to add coins and make their sum equal ten cents. PJ has struggled with addition math facts this year. He also can not identify or add sums of money WELL. We have worked on Math Make Ten math facts and other fun money activities but we haven’t put the two together until this activity. You will need to make a DIY worksheet. I simply drew a “T” in the middle of blank paper forming 2 columns in which to write math facts. I used marker because this was not a plan ahead printable. Feel free to copy this template:). I will add a printable in later. Then, he gathered ten pennies and shook them to let them fall! How fun!! For the math of this, he sorted the pennies by heads and tails. I added extra coin identification practice (he remembers better with hands on visuals) by asking him to create a crayon rubbing of the head and tail math facts. He used the rubbings as guides to help him know where to write each number since I hadnt made a printable. This could be a whole other activity to do with all types of coins later! PJ counted all the heads and wrote the total for that category. He did the same for tail pennies then added the numbers to reach a sum of ten. He kept going until he had all the different math facts that equaled ten cent. After so many times of writing the same math facts he blew on the pennies for good luck at his missing math facts:). I love this picture of him blowing for good luck! **This post may contain affiliate links at no additional cost to you. Please see my disclosure page. If you should chose to purchase from links I provide, my little family will greatly appreciate it! Mental math is a struggle for a lot of kids but memorizing math facts help children to process the calculation of math problems faster. PJ and I have worked on memorizing facts that make 10 for weeks. And I really needed to find a teaching tool that would make those facts STICK with him. We repeatedly used worksheets that drill and I made flash cards, too. We sang a song, watched a few math videos..He just wasn’t remembering it. You have seen this at some point in your child, I’m sure. They aren’t interested or have already given up trying to learn something because its extra hard for them. They stare at you with a blank face. No matter how many times you go over it, it just isn’t go to stick in their memory or they fail to understand. Sometimes you have to dig to find something that will help them because you are just as puzzled as they are as to how to help them. Well this is how I felt each time I’d quiz PJ on his Math Facts That make Ten. I desperately wanted to help my struggling son! So, we pulled out his paints and worked on a fun craft he could be proud of in more ways than one! PJ was failing to see the patterns in the math facts that make ten: They can be counted up and down. When kids have a mental picture of these math patterns they can draw from memory more easily. Even if they don’t know a particular addend, they can count forward or backward using a math fact they already know until they have reached the math fact in question. In PJs case he knew 5 + 5 = 10 every time I quizzed him. That math fact would be the math fact he could count up or down from to find the sum of other math facts to make 10 . I asked PJ to make a Christmas picture using his paints and the TP rolls. (My idea was to write the math facts inside the painted TP roll circles of his picture.) He wanted to make a Christmas tree! He asked me to help him draw a Christmas tree so I suggested he use a ruler to draw the outline of the tree. He drew an A shape tree without a bottom or trunk. PJ chose to paint the edges of the TP rolls with a paint brush rather than dipping them in paint. I told him we were going to write the numbers of the math problems we had been practicing in the painted circles. He stamped the outline of a Christmas tree with paint and the TP rolls. We let the picture dry. I explained to PJ that he could remember other math problems that equal ten by starting at the one problem he already knew. “Let’s start with what you know, 5 + 5 = 10.” We practice counting backwards and forwards from 5. Then, we recited all the other math facts that make ten by starting with 5 + 5 = 10 going forward and backward. PJ was ready to write all the math facts down and see how the addends for each fact either increased or decreased by one. He wrote 0 + 10= 10 in the very top circle. PJ also saw that the numbers on each side of the Christmas Tree was either increasing or decreasing by one and both sides met at the doubles math fact, 5 + 5= 10. He had created a picture pattern of his math facts to always remember!! When I turned his picture over and asked him to tell me ALL the math facts that make 10, he recited them without a mistake for the first time!! Happy Dance! FLASH SALE Insanely Cool Toys to help with Sensory Processing Disorder! This sale has almost ended but not before I stumbled on 3 insanely cool toys that would be great for children with Sensory Processing Disorder! Educents is extending their Black Friday Sale! Have you heard of the Gogo Roller? This is would bring hours of fun! And with cold weather coming on, you’ll NEED to find a great toy like this to supplement outdoor play. Sensory boxes are still a favorite in our home. 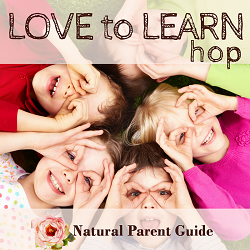 Your child will be engaged in tactile learning as you go over your Lady Bug Science lesson. Pull the Sensory Box out again and again for memory retention. Educents has several: Chicken Life Cycle, Lady Bug Life Cycle, and a Farm Sensory Box! Click this #LINK# for the Lady Bug Sensory Box and don’t forget to use CODE GIVE JOY for 15% off site wide!! Rememeber Sit n Spin? This is the modern day version of how kids regulate themselves when they need to move!! Only the Floor Surferr does so much more than spin!! It moves forward, backwards, anyway a child wants it to! Plus, children can work on CORE BODY STRETH, balancing, and coordination!! Just click the name FLOOR SURFERR to bring you to this awesome sensory toy. Use CODE GIVEJOY and enjoy 15% off too! Posted on November 27, 2016 November 27, 2016 Categories Family, First Grade, Practical Life Skills, ScienceTags DealsLeave a comment on FLASH SALE Insanely Cool Toys to help with Sensory Processing Disorder!